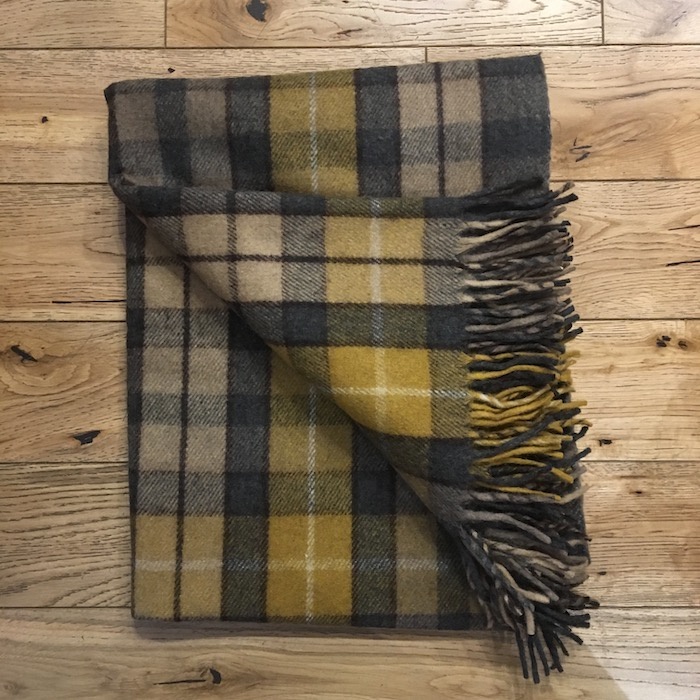 A warm, cosy blanket woven in the popular Buchanan tartan that's also made from recycled wool. These recycled wool blankets are made from a mix of 70% recycled wool and 30% mixed fibres from material that would otherwise end up in landfills. So it's perfect for your recycling credentials when you're using on your picnics or just snuggling under when you're watching TV on a cold night. Can be carefully machine washed.